Known as the “friendly city”, it is said that Perth enjoys more sunny days than any other place in Australia. Perth is only six miles from the Indian Ocean, and less than an hour from numerous National Parks and natural bushland. 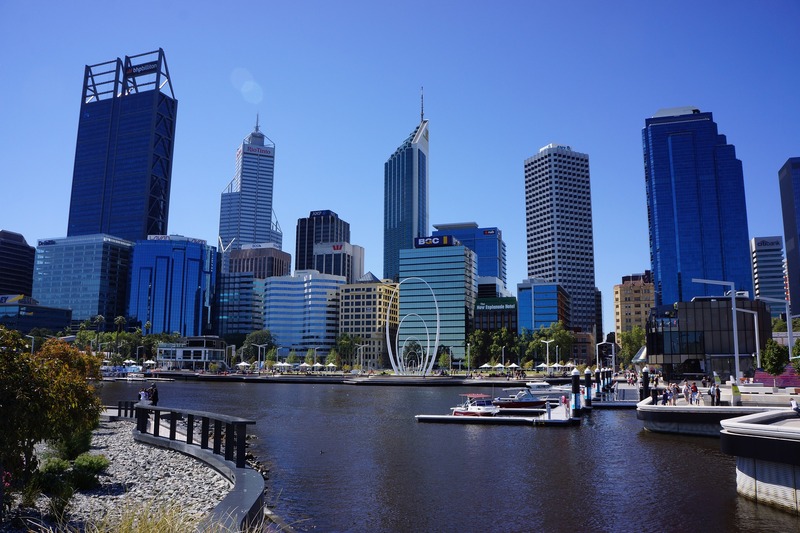 At the same time, it is a city of soaring skyscrapers that form an impressive wall along the Swan River. In the distance, the magnificent mountains of the Darling Ranges rise from the coastal plains. From the attractively landscaped , bustling business district to the fabulous mansions on “Milllionaire’s Row” to the leafy suburbs and on to Lake Monger and the Swan River where the black swans make their home, the city of Perth is an enchanting place. Perth, the capital of Western Australia, is a cosmopolitan city with the charm and intimacy of a small town. Perth offers an abundance of attractions, a sunny climate and a friendly and hospitable atmosphere. The city and surrounding area offer a wide range of dining choices from southern European alfresco cafes to a complete array of Asian cuisines and everything in between. Many restaurants serve local produce and fresh seafood. Perth is a short distance from the Indian Ocean and the main port of Fremantle, a delightful fishing town full of culture, history, and great shopping. The area’s public transportation system is excellent. It is easy to board a bus, a train, or a ferry to just about any part of the city or the surrounding towns in minutes. Travel within the city centre is free. Must see attractions include: King’s Park that offers a view of Perth skyline with the sunset reflecting off the glass skyscrapers. Perth Zoo, Burswood Casino, Perth Mint, Adventure World, AQWA walk through aquarium with a seal exhibit. Pioneer Village. Perth’s many museums. Perth Institute of Contemporary Art are all attractions that are not to be missed. The beaches are lovely, and there are waterparks in which to splash on a warm day. 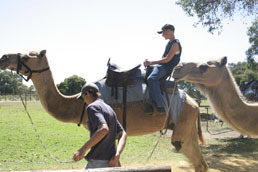 Caversham Park is unique with its interactive wildlife exhibits and camel rides that will be a highlight of any excursion with children. Numerous sports and recreational facilities are available throughout the area and include snorkeling, boat cruises, parasailing, and kayaking. Rottnest Island is an island paradise that is the scene of some of the world’s best beaches and bays that remain in their natural state. It is a popular spot for fishing, snorkeling, scuba diving, surfing, and swimming. A day trip by ferry from Victoria Quay in Fremantle is a possibility. Perth is home to the elegant Black Swan. In the 1960s The Swan River Trust was established to ensure that the waters it inhabits will remain clean and clear. There are numerous walkways and tracks around the river and shore areas, and the river is safe for swimming. Perth’s wine and gourmet food region is just 30 minutes away and easily accessible by road or via the Swan River. Perth’s shopping center lies between William and Barrak streets. It is a delightful maze of arcades, plazas, and elevated walkways. Perth is a city of unlimited possibilities for those traveling alone, in a group, or as a family. It is a place of beauty and refinement, and it is a place to have fun! Local Seasons: Perth, Western Australia’s weather and climate, is best described as Mediterranean, with long dry summers and mild rainy winters. It is because of these long hot summers that many Perth activities revolve around the water. Summer officially starts in December and ends in March. The hottest months are January and February, and temperatures can reach 95-100F and occasionally 100+. Autumn runs from March to the end of May. The weather is cooler, although still warm. The mild Perth winter lasts from June to the end of September. It is a rainy season, interspersed with chilly yet sunny days. A typical Perth winter day may fall between 60-65F. There are sometimes thunder storms. Spring begins at the start of September as the weather quickly warms to fine sunny conditions again. The temperatures rise as summer nears. Currency: The local currency is the Australian Dollar, which is a decimal currency in which 1 A$ is equal to 100 cents. Telephone: The Australian country code is 61. The Airport in Perth is 9 miles from the city. Tel (08) 9478 8888. Because of the distance between Perth and the other big cities, flying is the most popular way to get there. Most fly in on either Qantas or Virgin Blue. Perth Airport (tel (08) 9478 8888 is 9 miles northeast of the city centre. The international and domestic terminals are located several kilometers apart and locals often talk about them as if they’re separate airports. The domestic terminal is served by local bus routes 37 and 39 as well as the more expensive Airport City Shuttle and Fremantle Airport Shuttle, which also serve the international terminal. The Airport City Shuttle (tel 1300 666 806) is the quickest option into the city centre from the international terminal or the domestic terminal. Jandakot Airport, south of the city centre handles some regional flights including flights to Rottnest Island. By Cruise Ship: Ships dock in the Port of Fremantle. Perth has three bus terminals. 1)Transwa (tel 1300 662 205) Buses to destinations in the state’s south depart from the East Perth Terminal train station. 2) Greyhound and Integrity coaches depart from the bus station at 554 Wellington Street near Perth train station. 3)Southwest Coachlines operate buses to the southwest including Bunbury, Busselton and Margaret River. Southwest buses depart from the City Busport on Mounts Bay Road. The East Perth Terminal is the terminus for long distance trains. Transwa (tel 1300 662 205) has trains to Bunbury and Kalgoorlie and Great Southern Railway operates the Indian-Pacific to Sydney with stops at Kalgoorlie, Adelaide and Broken Hill. The East Perth Terminal is part of Transperth’s suburban train network with frequent trains to the city centre and Fremantle. Transperth (tel 13 62 13)) operates Perth’s public transport network, which is comprised of buses, ferries and trains. It is a good value way to get around the city and there is free transport in the central area. Buses form the backbone of Perth’s transport system and it is inevitable that you’ll ride them at some point or another, particularly if you want to get to the beaches. Buses are free within the central area, although with regular buses it can be difficult to know which rides are free and which ones you have to pay for. Fortunately there are a couple of frequent bus routes confined to the free central area that are extremely popular with ravelers. The Central Area Transit (CAT) buses run three routes – the Red CAT runs an east-west route in the city centre, the Yellow CAT goes between the city centre and East Perth and the more useful Blue CAT connects the hostels in Northbridge with the city centre. The only problem is that the CAT buses stop running shortly after 6pm. There is also an Orange CAT, which runs a loop around Fremantle. Perth’s bus network covers a large area with buses running as far away as Rockingham and Mandurah. The Public Transportation throughout Perth and Fremantle is fast and reliable. Perth’s rail network consists of five lines. The Fremantle line runs from the city centre to Fremantle via Cottesloe. Trains run approximately every half hour. City West, Perth, McIver and Claisebrook stations lie within the Free Transit Zone. Perth has a limited ferry service between Barrack Street Jetty in the city centre and Coode Street and Mends Street Jetties in South Perth. The Barrack Street Jetty to Mends Street Jetty ferry is a popular route for ravelers visiting Perth Zoo. Ferries run around every 20 minutes. Like many other public transport networks, Perth is divided into different fare zones. Most attractions are in zones one and two; although the transport network extends as far as zone eight. A Perth to Fremantle train trip requires a two-zone ticket, as does a trip between the city centre and the domestic airport terminal. A DayRider ticket allows unlimited travel on Transperth buses, trains and ferries from 9am on weekdays and all day on weekends and public holidays. Australian and international art are shown at the state’s most important art museum. The sprawling white beaches in Perth are sensational. Regular swimmers, picnicking families and sun seekers visit Cottlesloe. It offers a choice of locations to watch the sunset. Enjoy spectacular views across the Indian Ocean from one of the many cafes and restaurants along Marine Parade or from a tranquil spot on the sand. At the southern end of the beach, a reasonably sheltered reef proves a great spot for snorkeling. The main beach area has showers and toilets. Only 25 minutes by ferry from the mainland to enjoy this aquatic paradise. Rottnest Island, 11 kilometers long and almost five kilometers wide, boasts numerous fantastic beaches. 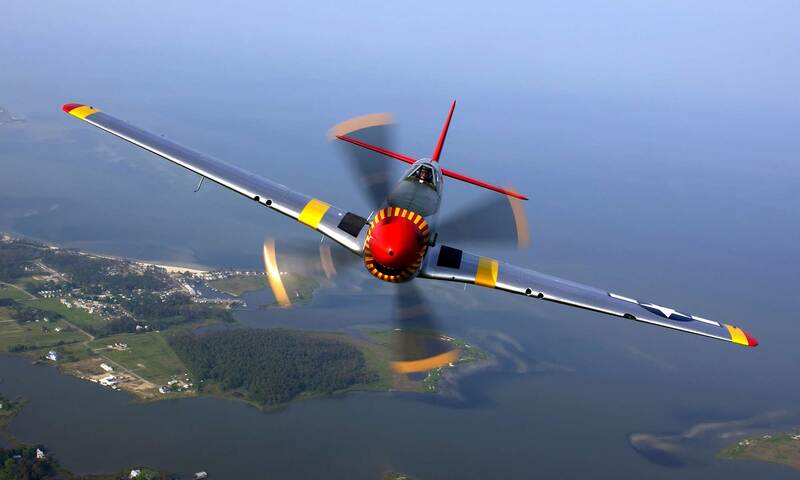 Enjoy leisure activities galore. Bicycles, the main source of transport, can be hired at Thomson Bay. The amazing array of marine life living in the coral reefs that fringe the island ensure superb snorkeling and scuba diving. The island also proves very popular with city surfers. Only minutes walk from central Perth, this park offers a tranquil respite from the city. With 400 hectares of parklands and natural bush to explore, visitors can enjoy numerous activities. Hire a bike, take a tram tour, or join a free guided walk. An evening visit proves spectacular. Meander along ‘Honour Avenue’ (lined with towering lemon-scented gum trees) and enjoy the city lights. The Reptile Park was set up as a conservation and education facility in 1994. It now houses more than 200 species of reptiles from the venomous local variety to the more friendly python family and waddling goanna. The park also lodges a variety of other residents that do not belong to the reptile fraternity such as flying foxes, quokkas and enichindas. Other amenities include barbecue areas, a snack bar and souvenir shop. Admission: Adults AUD11; children AUD6.50; concession AUD8.80. Rockingham Dolphins has been operating since 1987 and knows all the right spots to locate wild dolphins. Daily tours from September 1 until May 31. First, you will cruise through the waters off Rockingham, home to about 180 bottlenose dolphins. When the dolphins are spotted, the experienced crew will assist you in donning a wet suit, snorkel, and mask, and you will join them in their underwater world. All dolphins at Rockingham are wild, (meaning no tricks and no training), thus visitors experience the mammal in it’s true state! The trip runs between two and five hours. The other option is a dolphin watch tour. The Perth Institute of Contemporary Arts features exhibits of avant garde and contemporary visual and performing arts. This impressive building on Hay Street offers a unique insight into how money is made. Little penguins and numerous sea birds inhabit this 12.5-hectare island haven. Penguin Island is a breeding site for 16 species of birds. The island also has excellent snorkeling and surfing conditions, delightful picnic areas, a Discovery Center, lookouts and walkways. A ferry operates (on the hour) from Mersey Point at Shoalwater and ferry tickets include entry to the Island Discovery Center. This impressive copper and glass tower in Barrack Square is one of the world’s largest musical instruments. It houses a set of 18 bells, which includes 12 bells from St Martin-in-the-Fields in Trafalgar Square, London that date from before the 14th century. The tower features galleries where you can see the bell ringers in action as well as observation decks that boast stunning city views. Western Australia’s largest and most comprehensive museum houses more than two million artifacts and specimens. The museum’s permanent exhibitions include the Katta Djinoong display (which focuses on Western Australia’s Aboriginal heritage), bird, butterfly, marine, mammal and dinosaur galleries. The Old Perth Gaol, also on site, features a number of regularly changing and special exhibits. The museum shop and coffee shop are worth a quick visit. Admission: Free. Only 20 minutes drive from Perth, this is Western Australia’s major theme park. It is only open from September until April but with over 30 exhilarating rides and a wildlife park, it is worth a visit. Try the Tunnel of Terror, the Turbo Mountain Roller coaster or meet some of Australia’s original inhabitants in the wildlife area and touch farm. Do not forget your swimsuit – the park has swimming areas and a children’s water playground. There are food and refreshment outlets and shaded picnic areas. Enjoy the splendid sunset scenes and sparkling Swan River while cycling or walking along the South Perth foreshore. Established in the 1970s, Sir James Mitchell Park was initiated specifically for passive recreation and it serves its purpose superbly. The only building in the entire area is the old Wesley College Boatshed at Coode Street Jetty. The park stretches along the river from Mends Street jetty to McCallum Park at the Causeway Bridge. There are several wetland areas and a wonderful paperbark swamp that is worth a visit. This park is one of the oldest and most-loved picnic areas located in the Darling Ranges. The main tree species found in the area are Jarrah, Marri and Wandoo – home to an abundance of bird life. Take time to enjoy the extensive walking trails and visit the lookout for the fantastic views. Other features are the 100 year-old railway tunnel, the two waterfalls and rock pool. The park has a tavern and several picnic areas with barbecues. Situated within the Shoalwater Marine Park is a group of ideal beaches for children. Cape Peron offers a wonderful series of small bays with rocky outcrops making the area an adventure to explore. This is a great spot for snorkeling and shore diving. The best time for diving is in the morning before the wind begins to blow too much. The marine park covers 6,545 hectares taking in Shoalwater Bay and Warnbro Sound with a chain of limestone islands including Penguin Island and Seal Island. Ferries and tours to the islands run from Mersey Point. Be sure to arrange round trip transport from Perth if you do not have an automobile. Caversham Park is remote, and it is difficult to arrange transportation back to the city from the park. There is a gift shop/café that has a telephone and helpful personnel, however. Rides to the entrance gate are available. However, taxis will come right to Caversham Park entrance if arranged in advance. Located northeast of the city center. Within this extremely, though isolated, popular park is a section known as Cavensham Wildlife Reserve which offers up-close photo opportunities of koalas, interaction with kangaroos and emus, and camel rides. The park also contains an extensive collection of vehicles from the past 100 years and a craft village that displays the work of local artisans. There is also an exhibit of the history of farm machinery. In South Perth, a ferry ride away from the city centre. The zoo is dedicated to conservation and has all the features of an international standard zoo. Attractions include a nocturnal house, a wildlife park, and an African Savannah exhibit. Free tours of the Western Australian state parliament building are available on premises. Western Australia’s largest winemaker, Houghton’s, produced its first commercial vintage in 1859. The grounds here are delightful with picturesque gardens and heritage buildings that house the wine cellar. Western Australia’s only bushranger, Moondyne Joe, was supposedly captured in the cellar of Houghton’s Winery after one of his many escapes from the law. Houghton’s has other vineyards within three to four hours drive southwest of Perth in Mount Barker, Pemberton and Frankland River. Visiting a forest while in Western Australian should be on the top of your list. This park is one of the oldest and most-loved picnic areas located in the Darling Ranges. The main tree species found in the area are Jarrah, Marri and Wandoo – home to an abundance of bird life. Take time to enjoy the extensive walking trails and visit the lookout for the fantastic views. Other features are the 100 year-old railway tunnel, the two waterfalls and rock pool. The park has a tavern and several picnic areas with barbecues. Most cities look fabulous at night, but Perth’s Swan River offers a perfect vantage point for spectacular viewing. This tour offers the opportunity to cruise the river while enjoying a delicious buffet meal. Full bar facilities are available on board and a disc jockey encourages guests to dance the night away. This is a fun evening out, with the dazzling city lights adding a romantic edge to a starlit deck stroll: 7.30p Friday, Saturday and Sunday evenings. This seaside suburb has long been Perth’s port. The area has a laid-back ambience and is worth at least a day-trip from Perth. There is fabulous shopping in the markets and a maritime museum. This old market hall (established in 1897) is now one of Fremantle’s most popular attractions with over 150 stalls ranging from produce to arts and crafts. The Fremantle Prison was built with convict labour in the 19th century and was operated as a prison until as recently as 1991. It has now been opened to the public and has frequent guided tours. The new maritime museum on Victoria Quay features an excellent collection of exhibits including a 90-metre-long submarine. The old maritime museum on Cliff Street houses a collection of exhibits focusing on shipwrecks. This hands-on science museum features over 160 interactive exhibits. However, like many science museums, it is geared mostly toward children.